The state Chief Electoral Officer had said there were some glitches in the functioning of 381 EVM which were rectified subsequently. 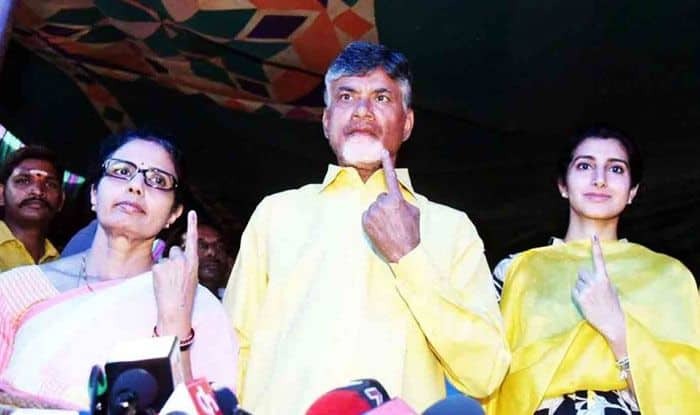 New Delhi: Andhra Pradesh Chief Minister N Chandrababu Naidu would be meeting the Election Commission (EC) over the anomalies detected in EVMs during the first phase of voting in Lok Sabha elections, reported ANI on Friday. “Tomorrow, I’m meeting the EC. I’m going to discuss the anomalies and technical problems EVMs are facing. Nobody knows what is happening in EVMs,” he said. In the first phase of Lok Sabha elections on 25 Lok Sabha and 175 Assembly seats in Andhra Pradesh on Thursday, there were reports of EVM malfunction. State Chief Electoral Officer (CEO) Gopal Krishna Dwivedi had said there were some glitches in the functioning of 381 EVM which were rectified subsequently. Talking to reporters, Chief Minister Naidu had referred to technical glitches in EVMs and said he was demanding that ballot papers be re-introduced. “No developed country is using EVMs as they are prone to manipulation. We have hence been demanding that we revert to the ballot paper system,” he had said. Later in the evening, while exhorting the public to go out to vote in large numbers, Naidu had said he knew about the anomalies in the EVMs and he regretted the fact. In far off Uttar Pradesh, Bahujan Samaj Party had alleged that the EVMs were rigged. Senior party leader S C Mishra had said that in some places, votes were going to the BJP even if one pressed the BSP button. “We have registered another complaint with the Election Commission and have sent them a video clip in which it can be seen that the ‘elephant’ symbol is being pressed but the vote is going to BJP’s ‘lotus’ symbol. Our people had complained against it but no action was taken,” he had said.